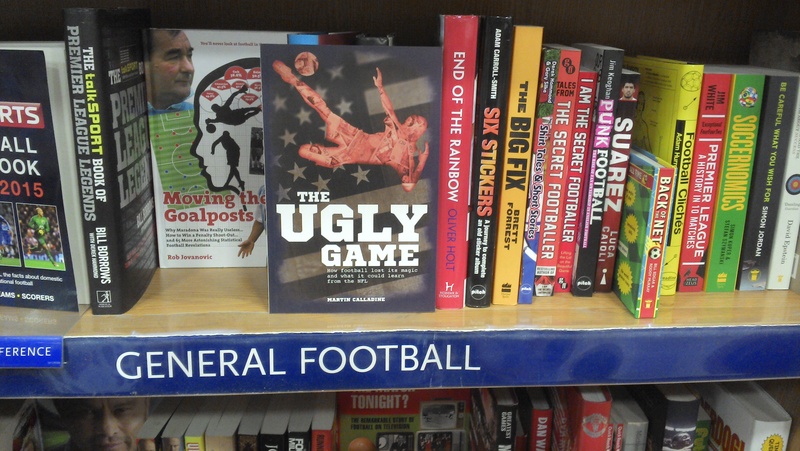 The Ugly Game book available now! I’m really pleased to announce that a book based on this blog is now available. Buy it now! It has the same format – essays comparing different aspects of the NFL and English football – but is substantially expanded, updated and revised. Buy it now or read a sample chapter. Attendances at Checkatrade Trophy games are sometimes so poor that the EFL has to pay clubs to cover losses they make from hosting games. Yet it won’t admit this – nor explain why it continues to back a format where gate receipts alone don’t always cover costs. Who knew transforming world football could be so dull? If you don’t have a good quarterback, then you don’t have anything. But if you do, then what the hell are you playing at not winning games? Sepp Blatter has gone, but Fifa hasn’t changed. His legacy will be on display next summer: a festival of football glorifying one of the world’s most appalling regimes. Enough is enough, it’s time to turn the TV off.